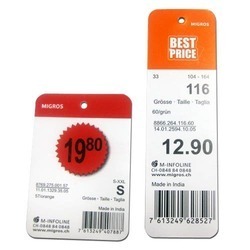 We are Offering Price Hang Tags to our clients. Garments threaded tags used to tag the price sticker with the garment. Leveraging over the skills of our qualified team of professionals, we are instrumental in offering wide range of Cloth Tag. 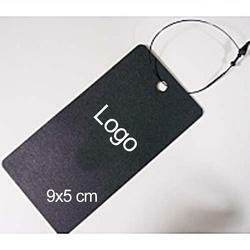 With the help of our expert team members, we have been able to provide Garment Tag.